Pets make a wonderful addition to the family! Whether you have a dog, a cat, or a slightly more exotic animal, your pet will provide great companionship. But pet food can sure be expensive. If you’re looking for ways to save money on pet food, here are five ideas for you to try. Stores run sales on pet food occasionally. When you find your brand of pet food on sale, stock up if you have some wiggle room in your budget. As long as you have a dry place to store it, you’ll be able to pick up several bags at once. You can also watch for sales on treats, supplies, and other pet essentials. Buying items on sale helps lower the price per item and will save you money in the long-term. Depending on the brand you use, you might be able to find coupons for your beloved pet’s food. If you aren’t sure where to look, this iRazoo post offers some ideas. You can also try doing a simple Internet search for “(your brand name) coupons” and see what hits you get. Many sites offer free printable coupons, so take a few minutes to look before you buy. By creating your own pet food, you have complete control over what your furry friend eats. You’ll also provide some tasty variety for your pet. After all, you wouldn’t want to eat a diet of dry kibble day after day. You can also save money by doing it yourself, especially if you’re buying premium food. 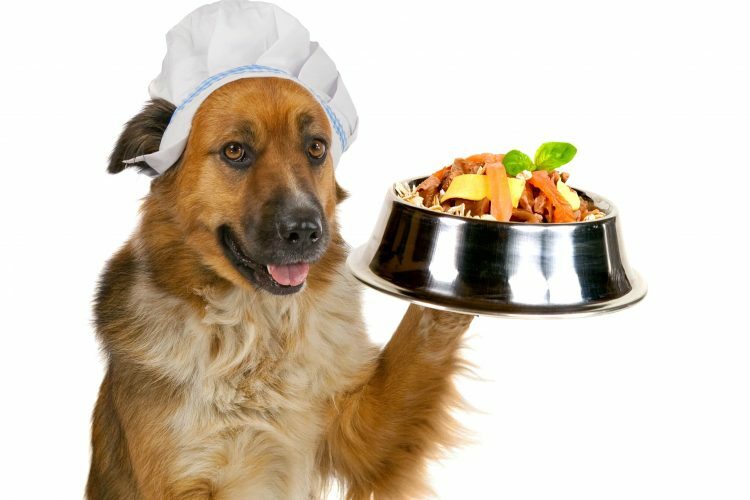 Making your own pet food isn’t as hard as it sounds. This post that offers some great starting points for creating your own dog food. The site also contains several recipes to try. If you’re leaving food out all day for your pet to graze on, there’s a good chance you’re overfeeding. Instead, check with your vet about what an appropriate portion size would be for your particular animal. Then, transition to a consistent feeding schedule. By feeding too much, you’ll put your pet at risk for obesity. You’ll also be spending more on food than you need to be. Some brands of pet food just cost more than others. If money is tight and you’re needing to scrimp and save, you might consider switching brands. Since money isn’t everything, be sure to check out the ingredient list on both brands. You’ll want to find one that’s comparable to ensure your pet will continue to stay healthy. If you have any questions, be sure to check with your vet. If you do switch brands, don’t do it cold turkey. You risk causing digestive problems by switching immediately. A better way to switch food for an animal is to do it slowly. Start by feeding mostly the old food, with just a bit of the new mixed in. Over the period of a week or two, slowly increase the new and decrease the old. Eventually your pet will be eating the new food, and shouldn’t have any digestive problems because of the gradual transition. A bonus tip for saving money on pet food is to purchase it with gift cards. If you earn points on iRazoo, you can trade those points in for gift cards that you can use to purchase pet food or anything else. That’ll really help your budget, so log into iRazoo today and get earning!